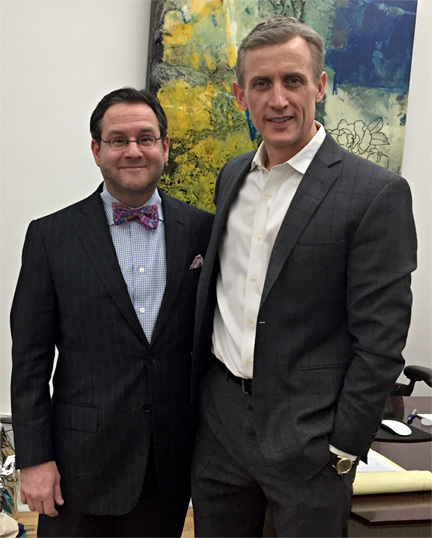 Dan Abrams was on his last spoonful of soup as I situated myself in his Midtown Manhattan office. I’m not surprised that his lunch was in a cup. The ABC News Chief Legal Affairs anchor has no room left on his plate. Earlier in the day he appeared on Good Morning America. We’re now at Abrams Media, his near ten-year old company that owns several news, culture and fashion websites, including Mediaite and another that he calls the next Court TV. Abrams has a twice-weekly, three-hour ride-along cop show on A&E – “Live PD” -- and just finished up a season of A&E’s “Grace vs. Abrams,” where he debates legal analyst Nancy Grace on celebrated cases. Abrams is also the doting father of a six-year old son. A Cirque du Soleil performer couldn’t pull off a juggling act like this. “I have to sneak in naps,” he says, in response to my look of wonderment about his schedule. On June 5th he tossed another ball in the air when Hanover Square Press, a HarperCollins imprint, published Abrams and co-author David Fisher’s Lincoln’s Last Trial – The Murder Case That Propelled Him to the Presidency. To be sure, this is not just another book that looks at the familiar subjects that surround the 16th President. Instead, Abrams and Fisher offer a fascinating study of Lincoln’s 24-year career as a lawyer. The book’s centerpiece is a detailed account of Lincoln’s defense, just fourteen months before his 1860 election as President, of a man accused of stabbing another to death. The text has its genesis in a hand-written transcript of the trial -- discovered in 1989, wrapped in a ribbon, in a mouse-chewed shoe box in a garage. This rare find enabled the authors to uniquely showcase Lincoln’s courtroom presence. Abrams spent five years covering trials for Court TV and then moved to NBC News, providing contributions to its Nightly News, Today and Dateline. His profile skyrocketed in 2001 with his nightly legal affairs program, The Abrams Report, on MSNBC. His namesake show spent five years on the air, followed by a variety of other television projects and positions, leading to his now near-daily appearances on ABC’s behemoth Good Morning America. 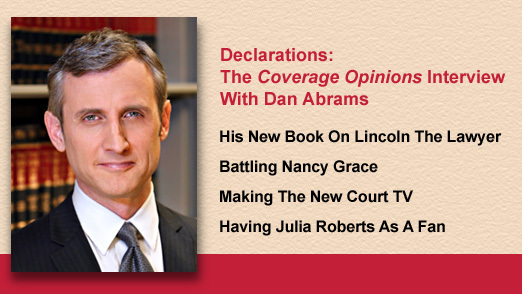 Dan Abrams has come a long way since Court TV. But his most ambitious project is to go back where he began. All of this has to do with Abrams’s decision to start the Law and Crime Network (lawandcrime.com) which offers live coverage of criminal trials throughout the country. Abrams takes me down the hallway to the studio where I am greeted by a news set featuring two well-dressed anchors who provide commentary. Next, we enter the control room, where several people are staring at a wall of televisions featuring the inside of courtrooms. It’s a tense place. Someone is giving directions to go from this screen to that one. I’m not sure anyone even noticed we were there. Abrams has a deep understanding for the human interest that exists in trials. “Courtrooms have always had galleries,” he points out. A trial is “a combination of civic significance and entertainment.” Indeed. I point out to him that Alexander Hamilton (with Aaron Burr as co-counsel) represented the defendant in the first murder trial in the nation’s history. Hamilton’s well-known biographer, Ron Chernow, says in his tome on the ten Dollar founding father that on the first day of trial constables were needed for crowd control. If the Law and Crime Network is premised on the public’s long-time fascination with criminal trials, more evidence of this abounds in Abrams’s new book. Abraham Lincoln had a 24 year career as a lawyer (one score and four years). He ran the nation for just four. Understandably his time as a lawyer is overshadowed by his presidency. 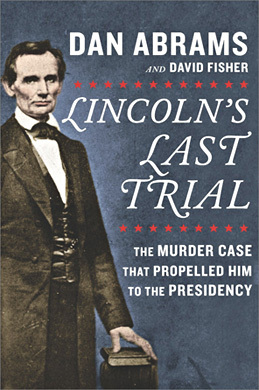 In Lincoln’s Last Trial – The Murder Case That Propelled Him to the Presidency, Abrams and David Fisher seek to connect Lincoln’s two careers. The book provides a detailed examination of Lincoln’s 1859 representation of the defendant in The State of Illinois v. “Peachy” Quinn Harrison. Harrison, age 22, was on trial in Lincoln’s hometown of Springfield, for the stabbing death of a rival. Lincoln argued self-defense. The book’s selling point is that the authors tell the story with the benefit of a 100-page handwritten trial transcript that was discovered nearly 30 years ago in the garage of a home in Fresno, California where Harrison’s great-grandson once lived. Trial transcripts from that time are a rarity – they were not required and resort to an expensive private scribe was required. The unearthed document provides a priceless and never before seen examination into Lincoln’s courtroom presence. Abrams shares with me the methodical and extensive research that went into the book, including accurate descriptions of things that Lincoln purchased during the trial. The case was personal for Lincoln on several grounds. The murder victim had trained to be a lawyer in Lincoln’s office. Lincoln’s client was the son of a close friend. Crucial to the defense was Lincoln calling as a witness a long-time enemy and political opponent. On account of the Lincoln-Douglas Debates the previous fall Lincoln came to the trial as a celebrity. A possible Presidential run was in the air. Just as with his client, Lincoln had much to lose with a loss. The press followed the case closely and it fascinated the public, who filled the courtroom each of its four days. Hearing Lincoln’s own words in the Harrison trial, both addressing the court and questioning witnesses, makes for a fascinating and one-of-a-kind read. But the authors are wise to recognize that the book couldn’t stand on the trial alone. It needs context and to tell more than just a single story. This they provide in a lengthy introduction of Lincoln’s fascinating career as a circuit riding lawyer and other case studies told throughout. From this also emerges a look at how the legal system operated at that time. Many things are unimaginable today. A current client of Lincoln’s was on the jury. The prosecution knew him to be honorable and did not object. Dan Abrams has his own contribution to crime television. He hosts “Live PD” on Friday and Saturday nights on A&E. The show places its viewers into the passenger seats of police cars in several urban and rural cities, offering a real-time look at the work of law enforcement. There is no predictability of what each police stop may bring: bar fights, shootings, domestic disputes, all manner of civil disturbances, drug busts and sometimes just odd people walking down the street. Assisting Abrams are two law enforcement professionals who provide insight and analysis of the actions of the officers. The show owes its success to the huge number of police cars that are under surveillance. As soon as one police stop turns uninteresting the control room has the ability to cut to another one offering more action. The show is entertainment for sure. But it also serves another function: demonstrating the actions of law enforcement at a time in which the subject is one of national conversation. 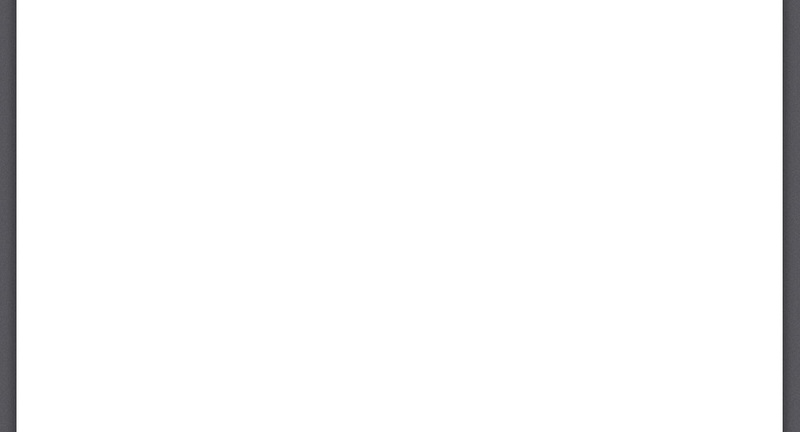 Viewers are encouraged to post their comments about what they witness on social media. I tell Abrams that I enjoy writing jokes and I wrote one about Nancy Grace. He gives me a suspicious look, like I’m about to say something that I’ll regret. But I carry on: “How does Nancy Grace satisfy the burden of proof in a criminal case?” Abrams shrugs. “She reads the indictment.” Abrams lets out a long laugh. I tell him he can have the joke. The risk for “Grace vs. Abrams” is that, by focusing on old cases -- Drew Peterson, Scott Peterson, Casey Anthony, Robert Blake – the show runs the risk of appearing to just be a retelling of well-worn stories. Abrams is keenly aware of this and the show meets the challenge by focusing on newly discovered evidence or featuring guests speaking out for the first time. Strangely, everything I saw through the glass walls of Abrams’s office shouted new media. But after an hour with him I came away realizing the secret of Dan Abrams’s success -- he understands a lesson that goes back to the time of pens dipped in ink. Elizabeth Vandenberg, a student at University of Iowa College of Law, assisted with this article.